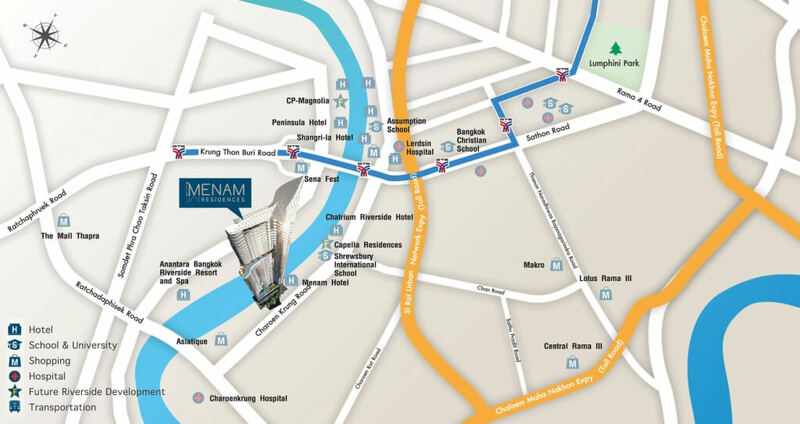 For a limited time only, interested investors in Menam Residences are invited for a FREE 2 night stay at Ramada Plaza Bangkok Riverside Hotel, with every inspection trip booking. 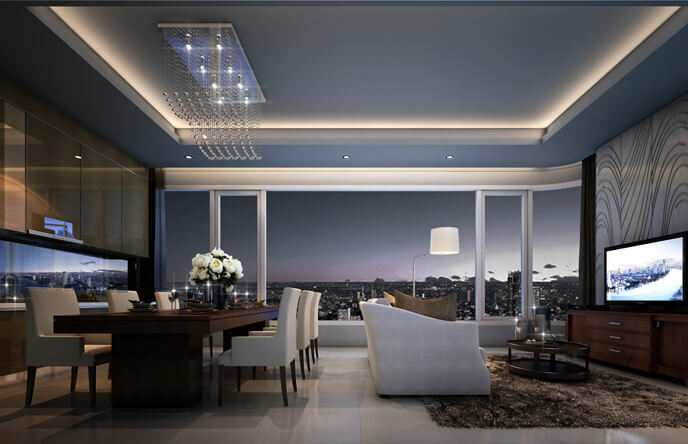 Contact us now to take advantage of this great offer! 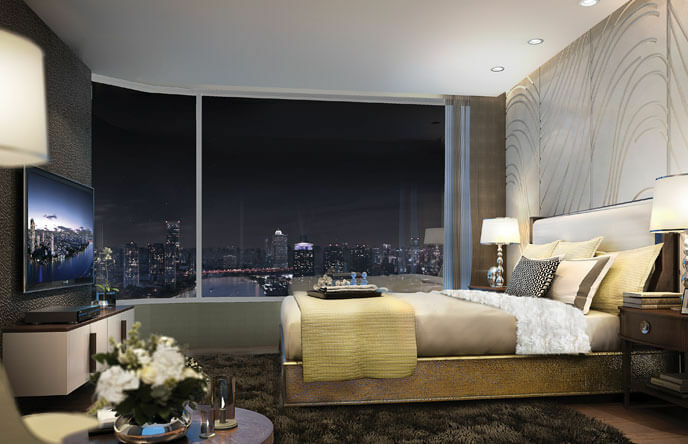 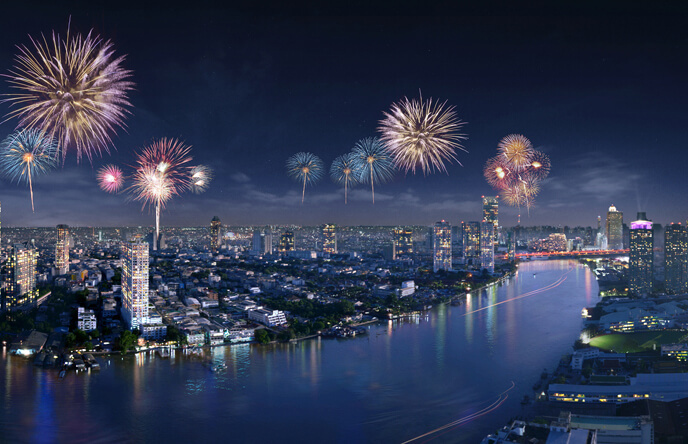 Most buyers in Bangkok consider the Chao Phraya River to be the main attraction in terms of property location. 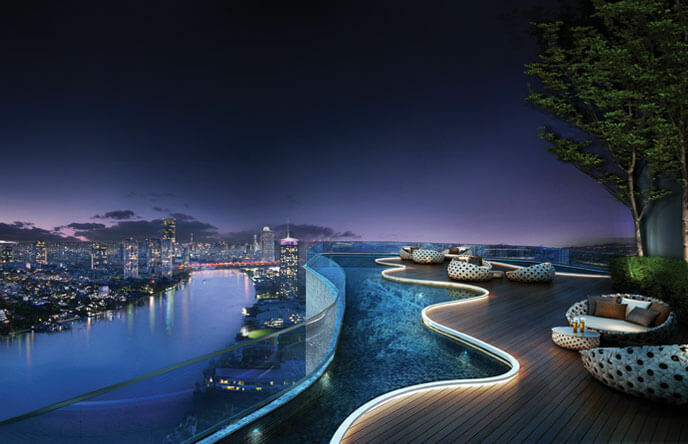 The idea of an uninterrupted view of this iconic river with a city skyline backdrop appeals to a large portion of buyers in the market. 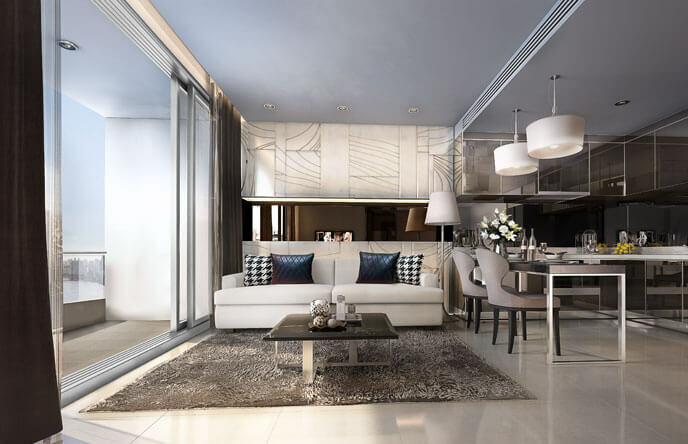 With most new luxury projects being released along the river banks at very high prices, Menam Residences strikes a perfect balance of affordability in the luxury market which creates a high investment potential in terms of capital growth. 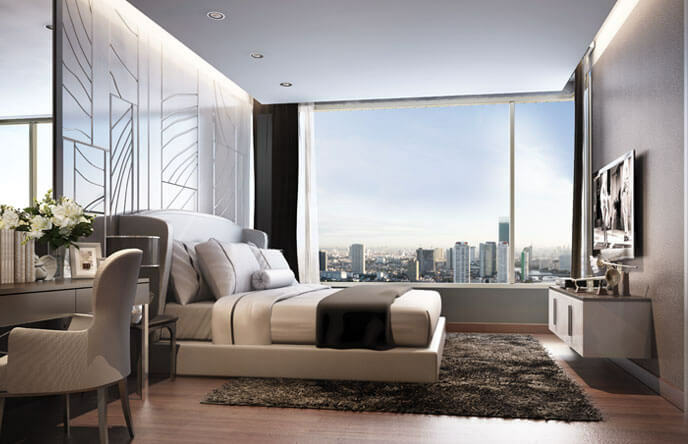 This area of Charoen Krung Road is undergoing an exciting rejuvenation with more luxury hotels adding to the already established market. 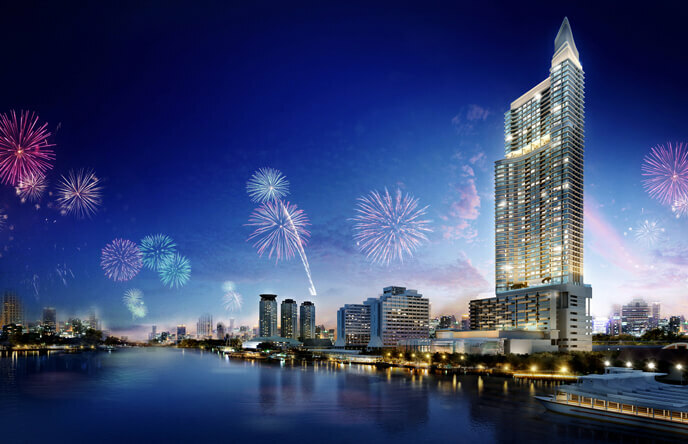 There is an exciting project which will add 800 metres of public park space along the river banks and the famous brand of Siam Paragon is opening a massive mall here too. 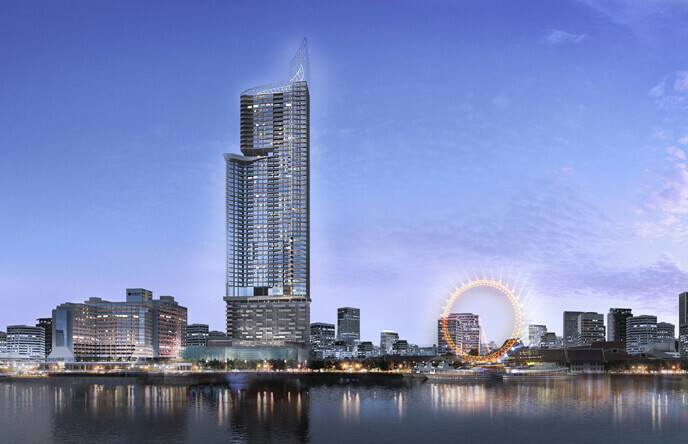 Located directly next door to Ramada Plaza Riverside Hotel and brought to you by the same owners, Menam Residences is an eye catching high rise residence of 54 floors with a limited and exclusive selection of just 294 units, all with direct river views - Guaranteed. 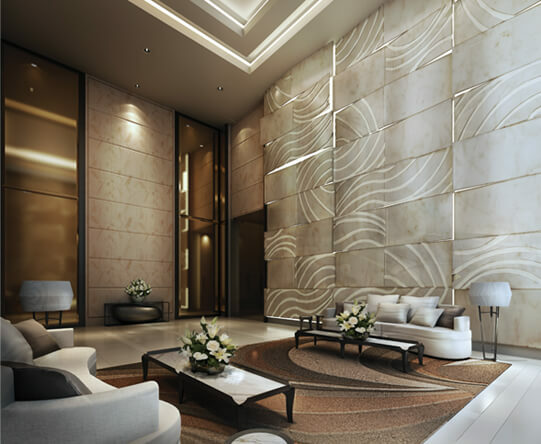 It is neatly built on a 5-0-58 Rai plot of land directly next to the world famous Asiatique with an abundance of facilities, the eye catching exterior of the development takes inspiration from the theme of the Chinese Dragon. 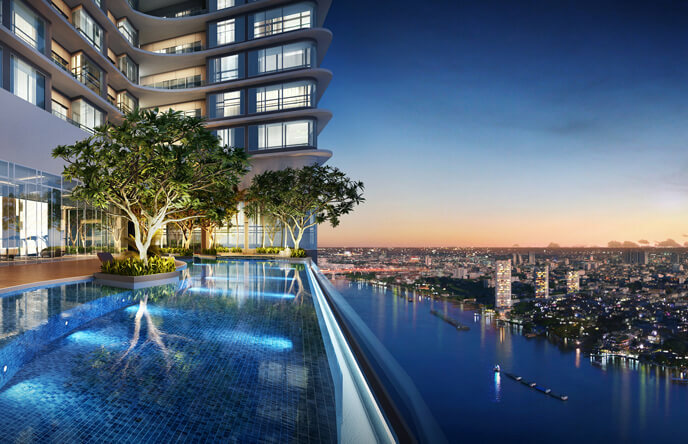 On the10th floor, an enormous and stunning 100 metre Infinity Edge Swimming Pool boasts tremendous views of the Riverside and wraps around the whole building. 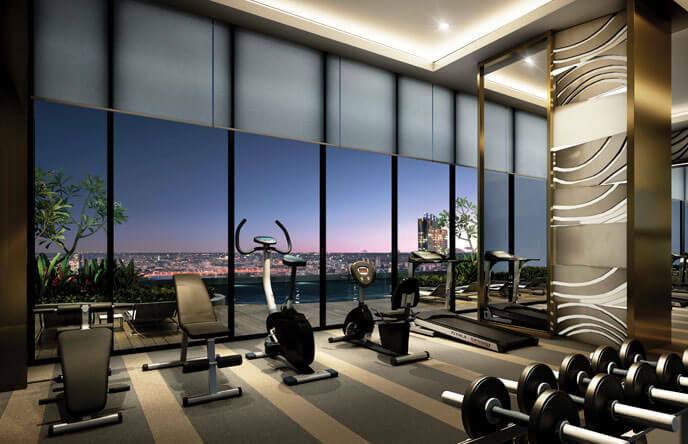 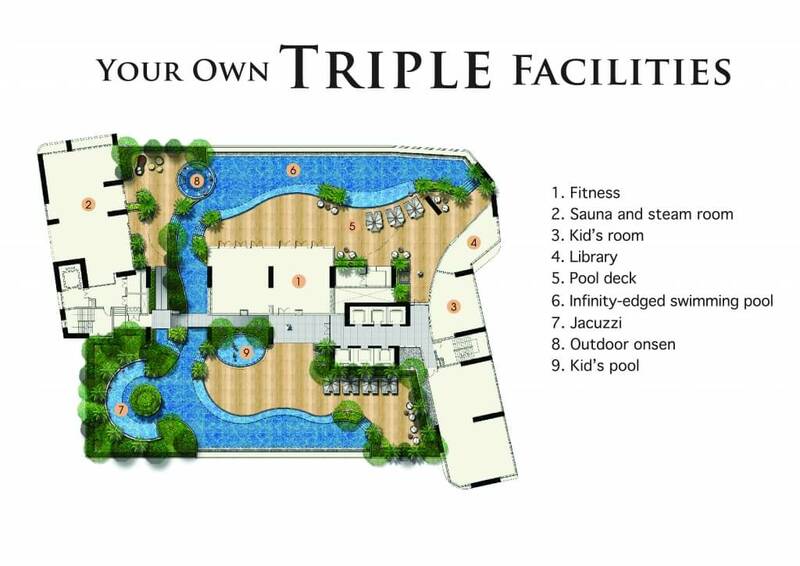 Here you will also find the Sauna / Steam Room facilities, Onsen, Library, Kids Room and Fitness Centre. 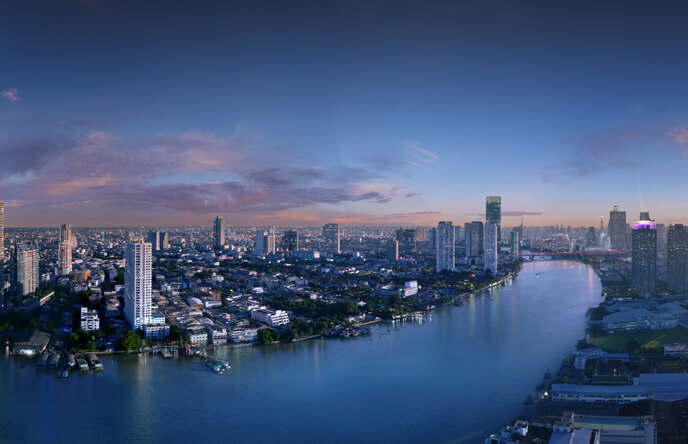 For those with a head for heights, you may enjoy incredible panoramic city / river views from the 41st Floor Sky Lounge & Terrace - a perfect place to entertain guests. 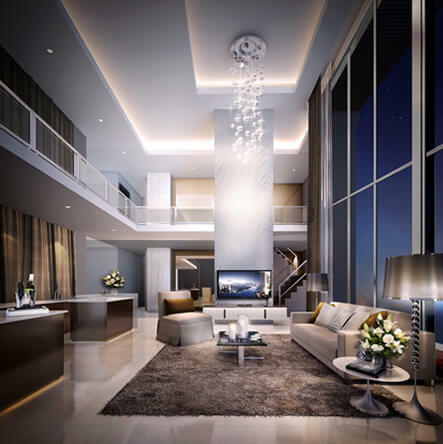 The residences start from the 10th floor which clears the height of all neighbouring buildings, including the conference centre being built as a second phase to the project. 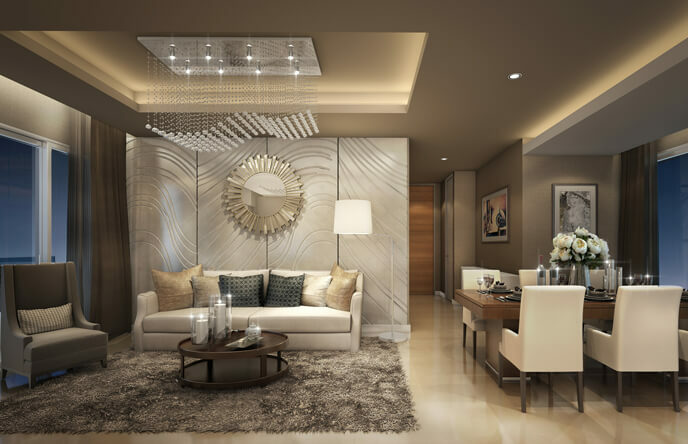 In comparison to it's competition, Menam Residences offers better affordability in the usually very costly market of serviced residences. 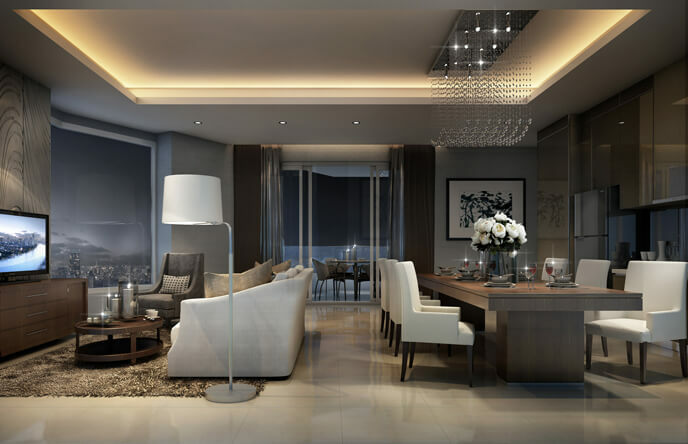 Condos here are all fully furnished and will be serviced by the Ramada Plaza Riverside Hotel. 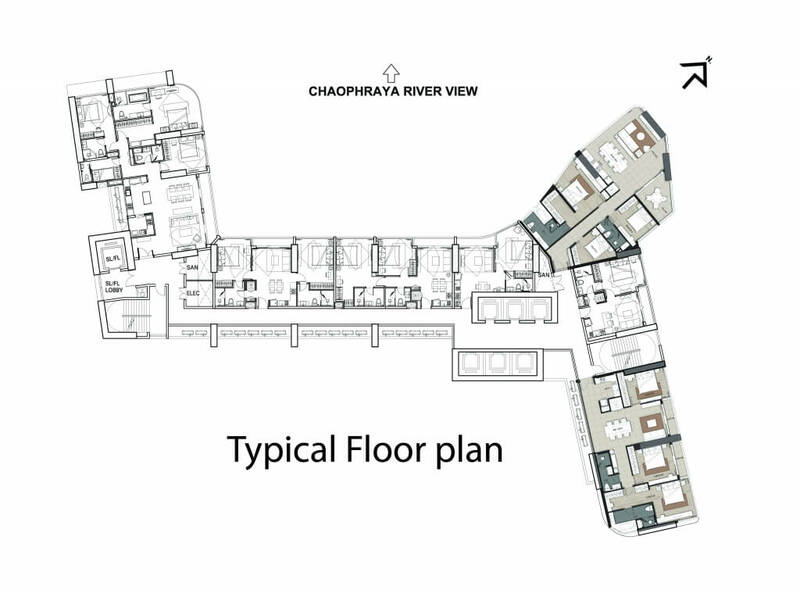 On-site hotel amenities are a big advantage such as: room service, housekeeping, laundry, private catering, doctor services and the exclusive hotel river boat which motors you to Saphan Takhsin BTS in just 5 minutes. 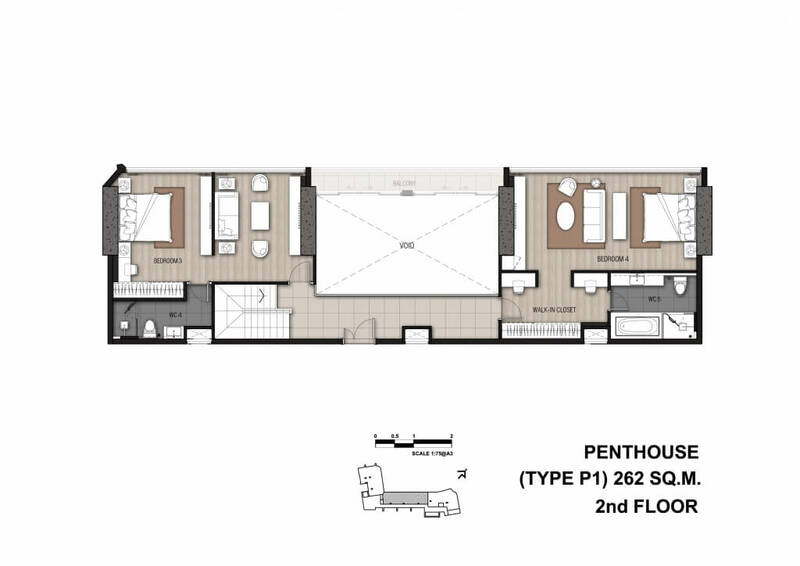 The other unique point here is that all condos are river facing with no units located on the back side. 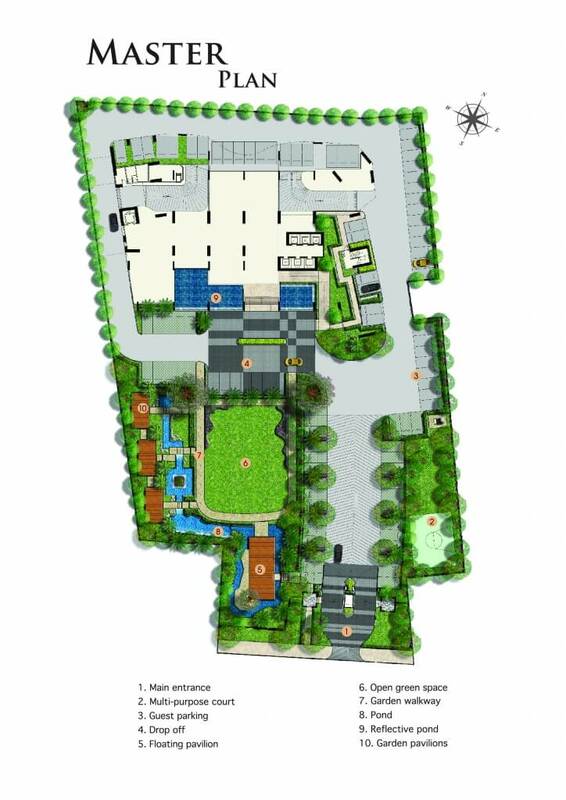 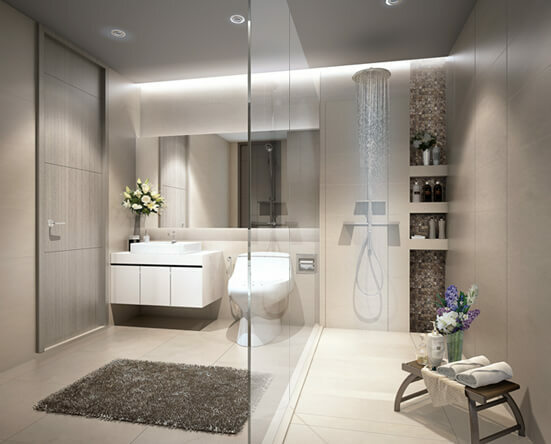 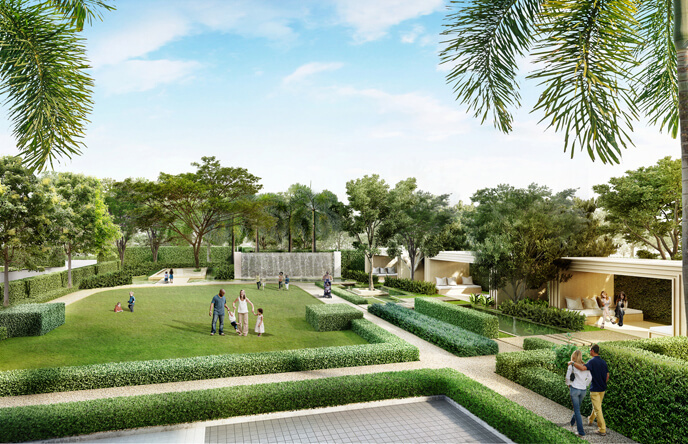 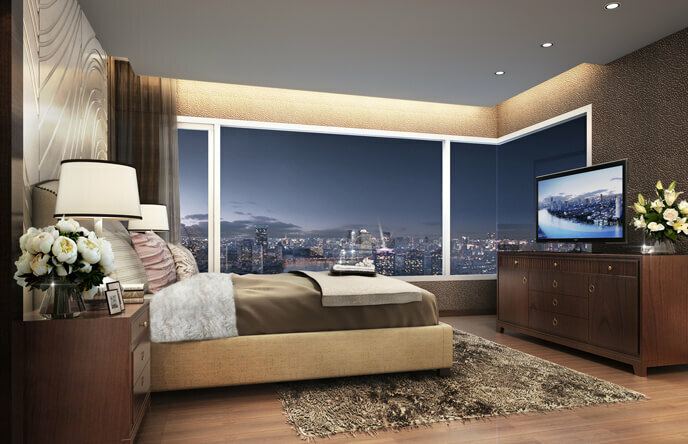 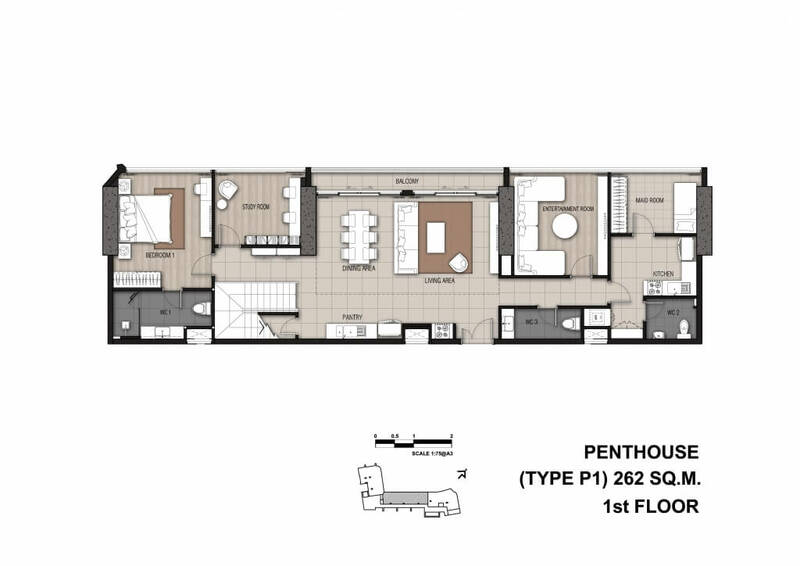 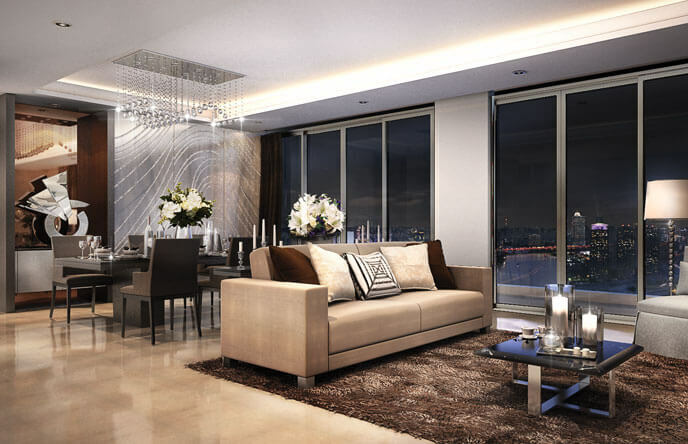 The limited number of units per floor make it a smaller, more exclusive and private project.